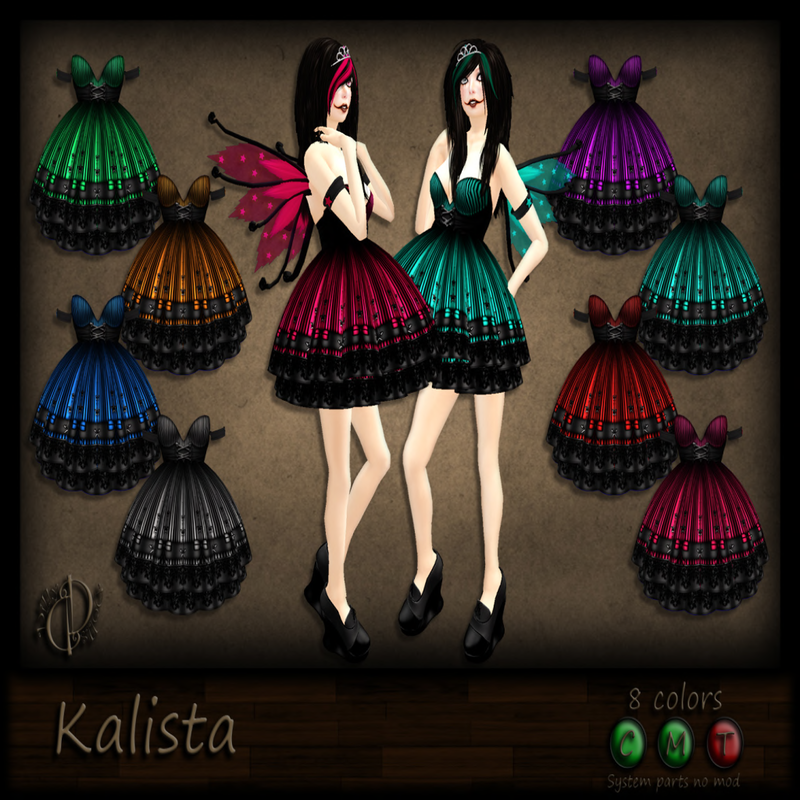 *Dilly Dolls*: Kalista and Shoe Sale!! I have never done wings before, but I thought that since i did a elfy thing for the boys, i would do a fairy-ish thing for the girls! Meet Kalista and her glowy goodness! Kalista comes with all 8 colors of dresses, and 4 different versions of wings to match! All shoes in the store are on sale for just L$75ea! thats 8 or more colors for most of them, for just L$75! Sale ends on the 30th, so come get em while you can!